Rarely seen these days, Tomb Raider classics composer Peter Connelly has been interviewed this month by Square Enix Music. Connelly first took on the series as the second mainstay composer with Tomb Raider: The Last Revelation, followed by Tomb Raider: Chronicles and the London Symphony Orchestra performed Tomb Raider: The Angel of Darkness. Following Nathan McCree's departure from Core Design after Tomb Raider III: The Adventures of Lara Croft (1998), Connelly reiterated McCree's original 1996 Tomb Raider motif in each instalment to follow. 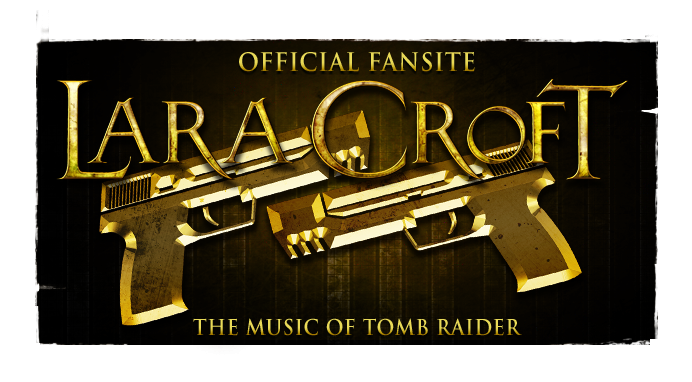 A motif that has in fact appeared in every video game iteration of the franchise to this day, plus Alan Silvestri's score to the 2003 major motion picture, Lara Croft: Tomb Raider - The Cradle of Life. While McCree hasn't been on the video game music scene for years, Connelly was still racking up new projects, although some might consider racing games like Herdy Gerdy a step down from Lara Croft's adventures. "Working on these titles was an absolute pleasure and I respect how lucky I was to be given such an opportunity. I always give credit to Nathan McCree, the original Tomb Raider composer, as he paved the way for my own compositions on the series. Of course, I added my own twist though. Looking back, I am quite proud of what I did although, at the time, I wanted them dead and buried. Haha. As I've progressed over the years, particularly with my mixing and production skills, I often ponder over re-doing some of the work. At the top of the list would be The Last Revelation theme. The Last Revelation theme kind of just came to me. The opening harp is what initially fell at my fingers, followed by the descending string sequence (or was it the other way round?). It wasn't until later I realised I really should add the iconic Tomb Raider melody, which worked beautifully in many places, particularly towards the end. With Tomb Raider: The Last Revelation based in Egypt, I wanted to give my compositions an essence of Egypt without being too clichéd or corny, although they probably were by the time I was done with them. ...I started at Core just as Tomb Raider III was being polished, so I had very little involvement with this project. There were a few things here and there, but that was it, so I was surprised to see my name credited with Additional Sound Effects. I did write some music for the end boss on the off chance it would get used, but it was too late to get it on the disc. I did use this music for Tomb Raider: The Last Revelations so it wasn't wasted.. Thanks again to Chris Greening @ Square Enix Music. Full interview after the jump. Chris: Peter Connelly, we greatly appreciate the opportunity to talk to you today. Before reminiscing about your past and current works, it would be fascinating to hear more about yourself and your musicality. Could you tell us a more about your background, influences, and education? Peter Connelly: And I appreciate you inviting me for interview! I have always been a keen video game player and my musical aspirations have been with me for as far back as I can remember. I have about eight GCSE's as well as an OND and HND in Music Technology. I would have gone on to do a Degree but, unfortunately, there were no such courses in this field back then. In all honesty, my number one love is Song Writing / Music Production... it always has been and always will be. This is something I've started to revisit — it's been too long. Chris: Your first video game scores were for adaptations of the board games RISK and Battleship. What led you to compose video games in the first place? Were there many challenges associated with composing these initial projects? Peter Connelly: After leaving college, I wasn't too sure what career I wanted to pursue. A friend of mine then landed a job working as a graphic artist for a UK game developer, which inspired me to start applying for sound jobs in the same industry (which were usually advertised in the back of Edge magazine). When I first started out, I didn't have a clue what processes went on to get audio into a game — all I knew was how to set up a MIDI synthesizer, sequencer, and sampler — so a fair chunk of my time was spent learning how to tie this in with video game technology. One HUGE lesson I learned on both these projects was NEVER to leave your assets in the hands of someone who isn't an audio person — they will rarely end up in the game as intended. There were so many errors and omissions with both these projects that I'm shocked they got through QA and, unfortunately, I didn't find out about this until the games were released. Chris: Mass Destruction was your breakthrough work in terms of industry recognition. What inspired your techno-based score to this shooter? Did the CD quality audio of this project allow you to be relatively liberated? Peter Connelly: Yak, I hate this music... (laughs). To me, these were my least credible works whilst at NMS. My preferred compositions were for games that, unfortunately, got shelved, namely Qu'ed Up (a 3D pool game), 2up Tilt (a follow up to the very successful pinball game, Tilt) and 360x (an inertia controlled shoot-em-up). Being able to write for CD media was definitely an open canvas for bigger and better production but, sometimes, having boundaries can be more creatively inspirational as you have to think outside the box to squeeze the best out of these limitations. Chris: Between 1998 and 2003, you worked on four landmark titles in the Tomb Raider franchise for Core Design. Looking back, what does the series mean do you and what legacy do you feel you left for its sound and music? Peter Connelly: Working on these titles was an absolute pleasure and I respect how lucky I was to be given such an opportunity. I always give credit to Nathan McCree, the original Tomb Raider composer, as he paved the way for my own compositions on the series. Of course, I added my own twist though. Looking back, I am quite proud of what I did although, at the time, I wanted them dead and buried. Haha. As I've progressed over the years, particularly with my mixing and production skills, I often ponder over re-doing some of the work. At the top of the list would be The Last Revelation theme. 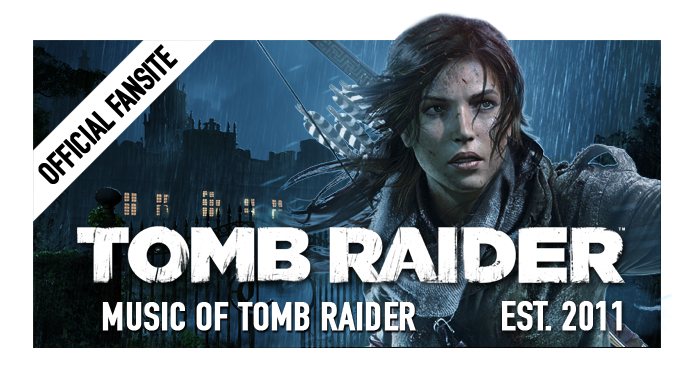 Chris: Tomb Raider: The Last Revelation and Tomb Raider: Chronicles both featured deep electro-acoustic scores. How did you develop the interactivity and artistry of the series' music on these titles? In particular, how did you approach their main themes? Peter Connelly: The Last Revelation theme kind of just came to me. The opening harp is what initially fell at my fingers, followed by the descending string sequence (or was it the other way round?). It wasn't until later I realised I really should add the iconic Tomb Raider melody, which worked beautifully in many places, particularly towards the end. With Tomb Raider: The Last Revelation based in Egypt, I wanted to give my compositions an essence of Egypt without being too clichéd or corny, although they probably were by the time I was done with them. With regards to the theme music for Tomb Raider: Chronicles, I had an epic idea which, sadly, never got finished. You only hear a very small snippet of what was to be in the very first opening sequence. This has been questioned many a time and the answer to why the game didn't have a 'proper' main theme was simply... time. In retrospect, I wish I'd made more of an effort to complete it so, for my own redemption, I will re-open the original MIDI sequence someday and finish off what I started! Chris: On Tomb Raider: The Angel of Darkness, you pioneered a shift towards a more symphonic and cinematic approach. 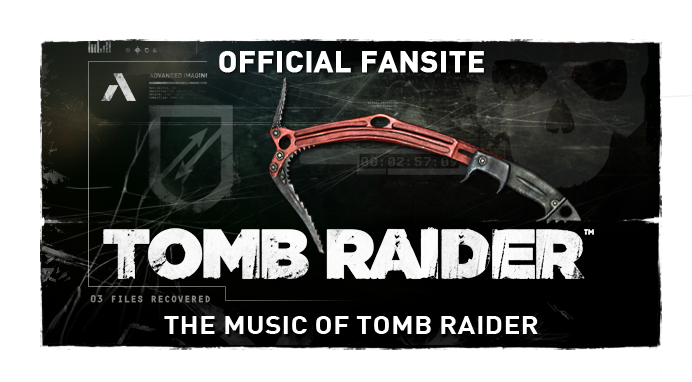 What inspired this change after the more electronic soundtracks of previous Tomb Raider titles? What was it like to work with the London Symphony Orchestra and what do you feel they brought to the experience? Peter Connelly: I'm sure Nathan wrote his compositions with a real orchestra in mind. I did, even with Herdy Gerdy, and it was inevitable this was going to happen sooner or later... or, at least, I was hoping. With this project being a release on a new and exciting console, the PlayStation 2, it seemed a natural step for us to raise the bar and talk seriously about the use of a real orchestra. When Martin Iveson and I approached our boss, Jeremy Heath Smith, we were thrilled when he agreed to go with our first choice of orchestra and studio — the London Symphony Orchestra at Abbey Road. It was a dream come true. I think we did rather well, considering it was our first live gig, as we recorded more than 40 minutes of music in less than six hours. The LSO are great to work with; they're fantastic musicians — among the world's best — and I would love to work with them again someday. Chris: On the Tomb Raider series, you were also quite extensively involved with the sound design, working exclusively in this role on Tomb Raider III for instance. Could you tell readers more about what this role involves on a day-to-day basis? How did you develop the distinctive atmosphere and soundscapes of the series in this role? 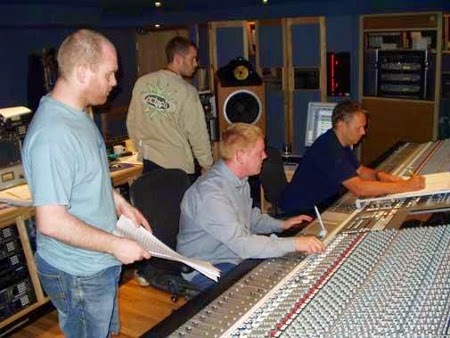 Peter Connelly: When I first joined the games industry in the early to mid 90's, audio people were always employed as Musicians and naturally were expected to create sound effects as well. This has changed over the last 10 years — more so these past few. You now have Composers, Sound Designers, Audio Directors, Sound Artists, Sound Technical Artists, Audio Implementers, Sound Designers, Tea Makers, etc. Personally, I think it's overkill, but each to their own... if someone wants to concentrate on a specific area of sound, that's cool as long as they are able to work as part of a cohesive team. I prefer to be involved with all aspects of sounds — it's all I know. I started at Core just as Tomb Raider III was being polished, so I had very little involvement with this project. There were a few things here and there, but that was it, so I was surprised to see my name credited with Additional Sound Effects. I did write some music for the end boss on the off chance it would get used, but it was too late to get it on the disc. I did use this music for Tomb Raider: The Last Revelation so it wasn't wasted. With regards to the sound effects in general, this involves close liaison with Level Designers, Animators, and Producers and it's always a constant battle to squeeze the audio into very little memory. As a result, I was always thinking outside of the box to get what was desired with the minimum of fuss. Chris: After leaving Core Design, you worked as an audio manager of Eutechnyx for two years. Could you elaborate on your various administrative and technological responsibilities for this company? Did you find it a rewarding role? Peter Connelly: In all honesty, this was a career move from hell and I knew early on I had made a huge mistake by taking this job. However, I wasn't in a position to just up and leave, so I had to endure it until it got the better of me and enough became enough. I did learn from this experience — primarily how things should NOT be done and how people can be so ignorant towards sound (I could write a book) — but being forced to work under extreme limitations and restriction can, in a way, only better your ability. The role opened doors, I met some great people, and it looks good on my CV... that's about it. Chris: For Eutechnyx, you worked on numerous driving simulations, including The Fast and Furious: Tokyo Drift, Cartoon Network Racing, Pimp My Ride, Ferrari Challenge: Trofeo Pirelli, and Hotwheels: Beat That. How did you develop suitable licensed music soundtracks for these titles in terms of selecting music and liaising with artists and licensees? Peter Connelly: I would look at each project on an individual basis to determine if it was better suited to licensed or bespoke music. Most of the licensing was actually handled via the publisher, however. I was only involved selecting a few library tracks for some of the games I worked on at Eutechnyx. Chris: There in an ongoing debate in the video game industry about the use of licensed music in video games. Where do you personally stand on the matter? For racing games such as Eutechnyx's, what are the advantages and disadvantages of a wholly licensed approach? Peter Connelly: I am on the fence with this one... For racing games, licensing seems the obvious thing to do, but it all depends on many factors and sometimes original music is more appropriate. One factor is whether the budget is there, as licensed tracks, particularly well known ones, can be expensive. Artists are pushing for licensing in games, as it can often generate more revenue than actual record and download sales. Chris: Since leaving Eutechnyx, you have worked on the racing games Speed Zone / Wheelspin and Emergency Heroes in composition and arrangement roles. What inspired the use of original music in these games, after the licensed approach of the abovementioned titles, and how did you approach them? Peter Connelly: Speed Zone / Wheelspin was fun to work on, but I would have approach the music differently if I been given full control of direction. I pushed for an upbeat modern day Prodigy / Chemical Brothers vibe, but the developer wanted retro trance and what the client wants, the client gets. It was pretty much "here's a track, we like this element, don't like that element... get it sounding close". Even though the music wasn't perfectly suited and modern enough for the game, it worked in places and there are a handful of tracks I still really like, including one I'm remixing right now. Emergency Hero was collaboration with John Elliott and Andrew Archer from Trafik (Loft Music). They did all the actual writing and compositional work for this project. I was involved purely with the orchestral elements. Chris: Away from serious racing games, you have also created light-hearted scores for two new titles, Garden Party and Horrid Henry, on behalf of your new production company Universal Sound Design Limited. What should gamers expect from their music? Are you proud of the final results? Peter Connelly: The music used in Garden Party is written in a completely different style to what I'm used to, but there is definitely inspiration drawn from the music I wrote for Herdy Gerdy around ten years ago. The game was aimed at kids aged 3 to 12, so the music needed to be light hearted and fun. Incidentally, Herdy Gerdy's theme tune was the first thing I wrote at Core Design, back in '98. It was originally written as a collage of ideas but ended up as the main theme. Horrid Henry was based purely upon the original show theme tunes, but with the direction to have them sounding retro and chip-like. Do I like them? Yeah, I suppose they're OK. They're not what I would usually write, but I do like the chance to produce something a little different from time to time! Chris: In addition to your responsibilities as CEO of Universal Sound Design Limited, you have recently become a senior sound designer at Ubisoft. Could you elaborate on what this role involves? Should we expect to see you involved with some major titles in the near future? Peter Connelly: Although my position at Ubisoft Reflections is at a Senior Sound Designer level, it is on a self-employed basis through my company. This role involves me working alongside other Sound Designers and Programmers, working full-time within Ubisoft, while creating and implementing sounds for the new Driver: San Francisco game. It requires me to be on-site, so it gets me out of the studio and in and amongst all the action. Chris: Since you left Core Design, the Tomb Raider series has undergone many changes in both gameplay and audio. Do you still follow the series to this day and, if so, how do you feel about the developments? Would you one day be interested in scoring a new title in the series? Peter Connelly: Unfortunately, I don't follow the game like I used to, but I have heard some of the soundtracks and I think they're amazing. In all honesty, I have been thinking about the possibilities of scoring another Tomb Raider soundtrack for some time now... I just need to work out the best way to approach the right people. If you can help me out...! Chris: Many thanks for your time today, Peter Connelly. Is there anything else you would like to say about your works past, present, and future? In addition, is there any message you would like to send to fans around the world? Best wishes for the future. Peter Connelly: You're welcome. It has been a pleasure. Respect to everyone for the interest in my works after all this time — it really makes what I do worthwhile. Thanks.